My kids are still young and at this point I actually do enjoy teaching them Math. That is not a subject I fear, yet. The only problem is, with Math, when you have just a slight age difference in your homeschool, you need to be sure to take time out, each day, for each child to drill math facts. 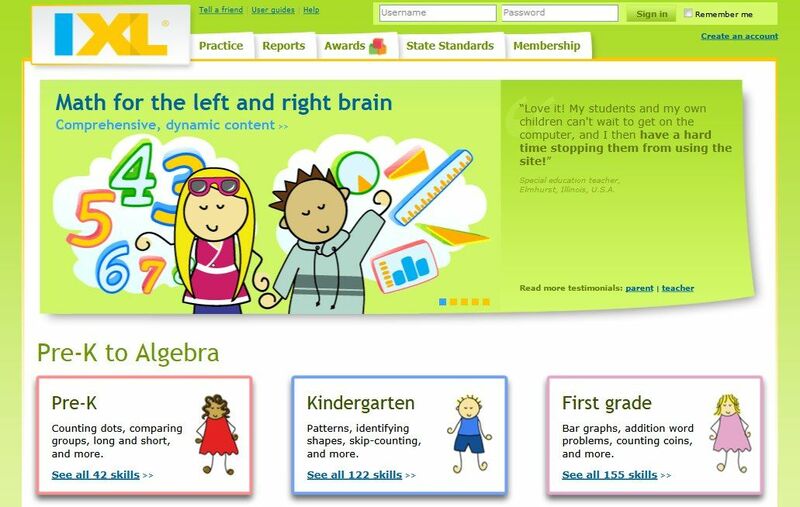 IXL.com has been an extremely helpful online tool to help my children practice, practice, practice, their Math skills, daily. 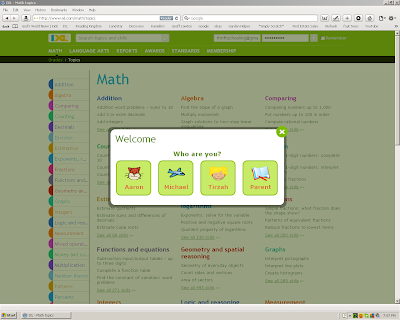 IXL provides both Language Arts and Math practice. I have been working with the Math with my three children over the past few weeks. 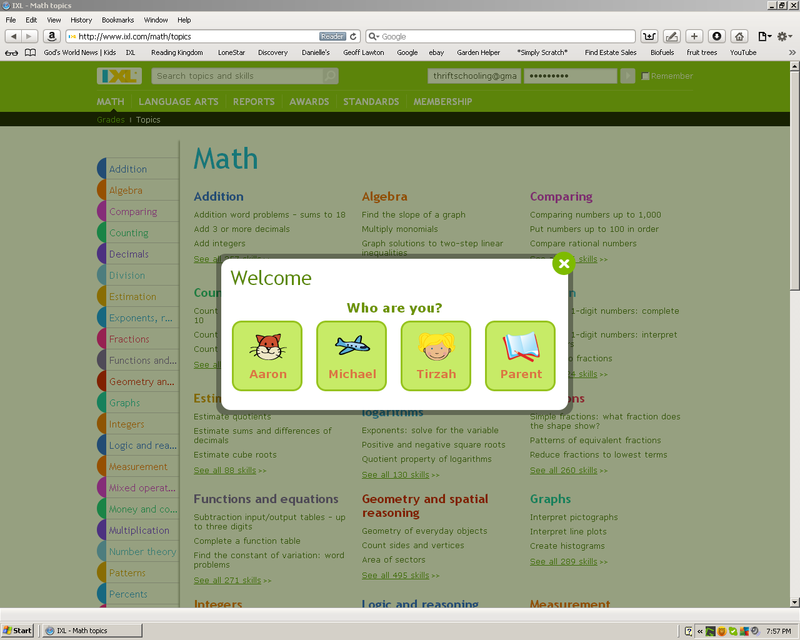 Each child received a cute little icon to sign into the program with. And they loved having their own password, or "secret word," to sign in with! 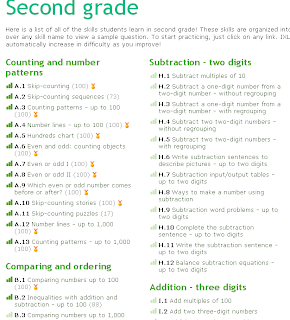 Below is a list of some of the skills that my second grader has been working on during his practice time. The ones with the gold medals to the right of them are the ones that he completed. Next to the ones with the medals, you'll see the number 100. 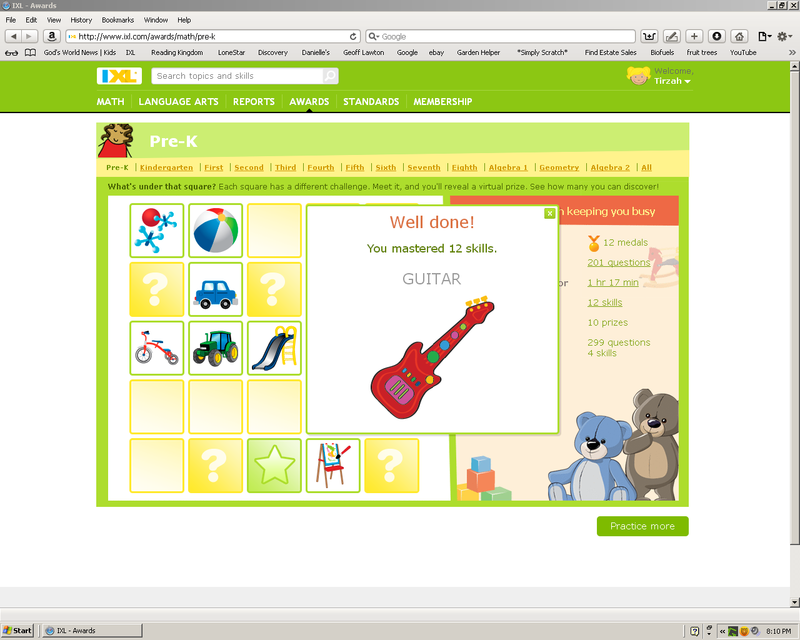 This doesn't mean he received 100% on the section, rather he reached the goal of 100 points and completed the level. How it works is, after each problem you solve you receive points. Your goal for each section is 100. But, while going through the problems, if you miss one, then you lose points and have to keep trying until you reach your goal. I liked this method, but the kids didn't so much, they would get frustrated seeing their score drop especially when they were so close to their goal! In our homeschool I like repetition and practice. 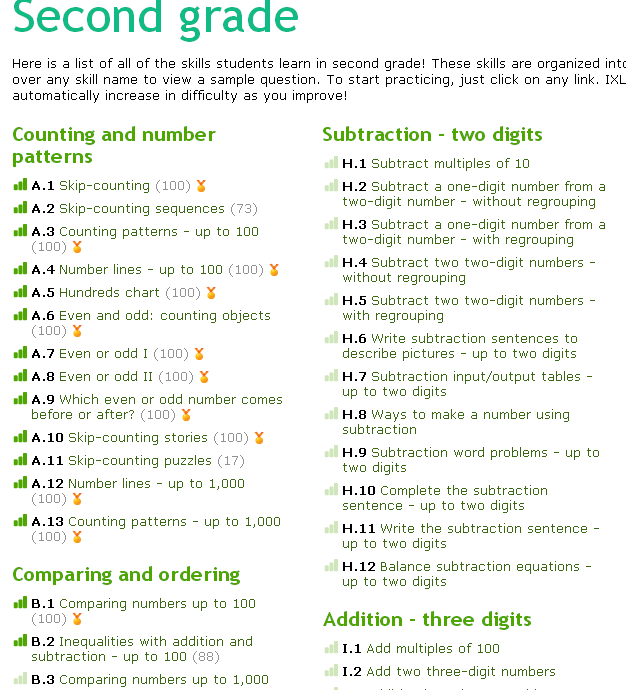 I like going over one hundred charts and addition and subtraction flashcards. The only problem is, it can be very time consuming with several children. 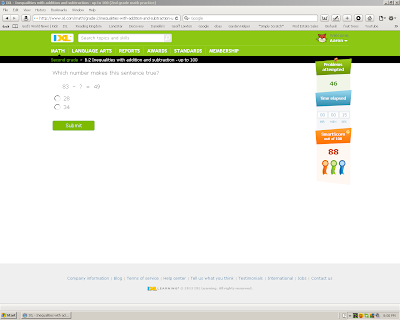 What I like about IXL is it is simple and to the point. 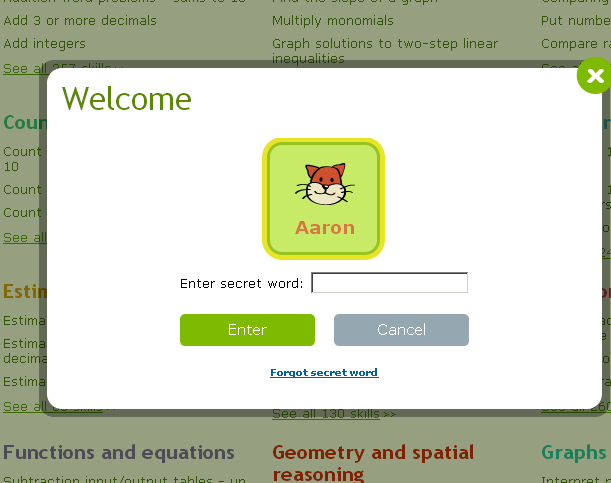 There are no flashy images trying to teach math concepts. There is a time and place for that, but when it comes down to the nitty gritty of Math practice, they get to the point. 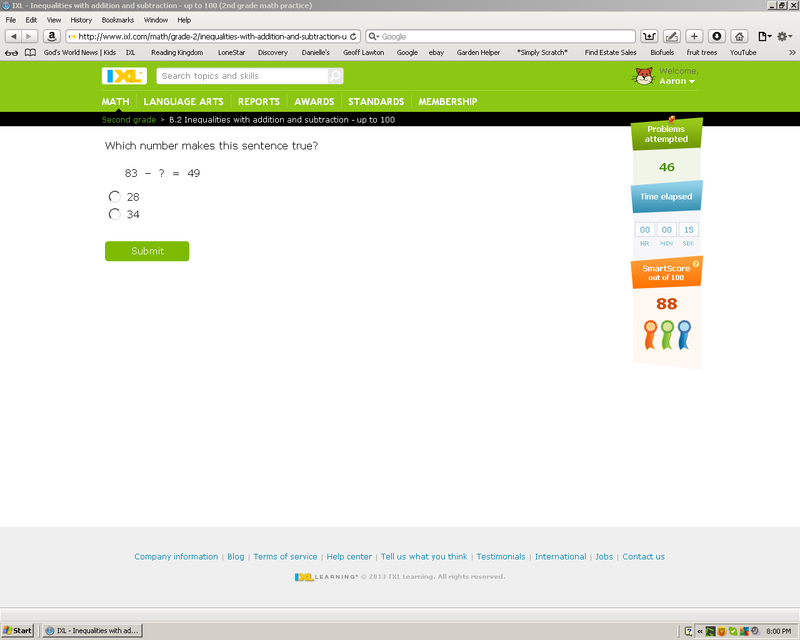 Below is a screenshot of one of the Math problems for my second grader. I completely feel comfortable leaving him and his brother who is in kindergarten with this program for ten to fifteen minutes a day for their math practice. Some of it is even more challenging than what I would do with them on my own. This has been working out great for us. They get their Math practice in each day, while I work with the other child with another subject in the meantime. I wasn't sure how my three year old would do in the Pre-K lessons but she has surprised me! She loves the simple repetition. At first I thought it would be too boring for her. Counting objects or dots and typing in the number. But she loves it and can't wait to do it. I think it's mainly because she gets to do what her big brothers are doing, and she's gaining computer skills, (yes, I still use a mouse). Not sure how useful that skill with be in a few years with touchscreens being so popular but it's still helping her with fine motor skills, regardless! The way I would work with her is just have her on my lap each session, reading to her and guiding her with each problem. It was great teaching her numbers, counting, shapes, etc. 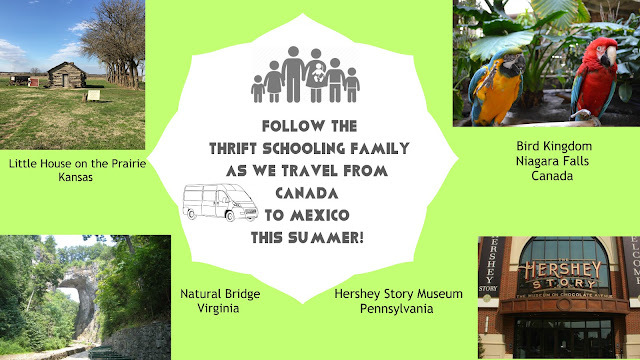 Once each child would accomplish certain goals, they would receive "virtual prizes." Simple, yet rewarding for the kids, something to strive towards. They love seeing what new object they've gained. If the other children are in a different room they always come running to see what the other got when they receive their awards, it's cute.